Are you planning to move soon? About 35.5 million Americans move every year. While some of these individuals and families do it on their own, others make use of professional moving and storage services. Professional full-service movers handle all the processes involved in your moving and packing. From providing packing supplies to packing your items and belonging, disassembling furniture and large appliances, loading, and many more, these full-service movers handle every moving and packing task. Thus, saving you the stress and hassle that comes with moving. Full-service movers save you the cost of purchasing packing supplies or hiring a moving truck. The moving company will make the moving truck available. The company also provides packing supplies like moving boxes, furniture wrap, packing tapes, blanket, bubble wrap, moving wraps, and many more. Supplying all packing supplies and materials is a part of their professional moving and storage services. This will be used to protect and secure your belongings during the move. Packing remains one of the most difficult, stressful, and time-consuming aspect of moving. Full-service movers work with trained and experienced moving experts. The moving crew will pack up your whole house. Your belongings will be safely boxed up and arranged within a short period, compared to what it will take you. Moving boxes will be clearly labeled for easy identification. Everything will be efficient and well-organized. In addition, full-service movers help disassemble furniture, electronics, and large appliances. Thus, making it easier to transport your heavy furniture and large appliances to your new place. They will also help reassemble on reaching the destination. Furthermore, lifting heavy items and equipment can cause backache, joint pains, and other injuries. You should leave this for the pros. Professional moving and packing services handle the loading and unloading aspect of your move. The expert movers will load all your items and belongings safely into the moving truck and help unload on arriving at your new home. Whether you are moving locally or over a long distance, full-service movers will transport your belongings safely and securely. The company will transport your items and belongings using the safest route possible. You can expert your items to be delivered at your place as scheduled. Also, full-service movers provide unpacking as a part of their professional moving and packing services. The expert moving crew will unpack your belongings and help you settle in. 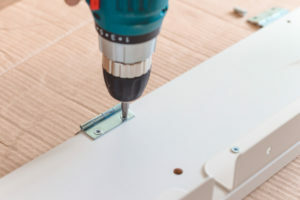 They will also help assemble furniture and large appliances. All you need is to provide guidance, and the movers will handle the rest. You can be assured that every item will go where they are supposed to go. After the move, you will be left with several moving boxes and wraps. If not efficiently recycled or disposed, these packing supplies can constitute a nuisance in your home or the environment. Full-service movers will help dispose or recycle these packing supplies efficiently. The company completely takes care of the mess while keeping your home tidy. 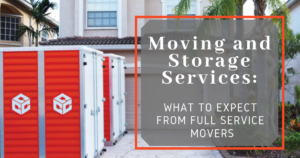 For families or businesses in need of a place to store their items, belongings, or office equipment temporarily, full-service movers provide storage facilities. These storage facilities are secure and weather controlled. You can rent on a short- or long-term, depending on your needs. There you have it! 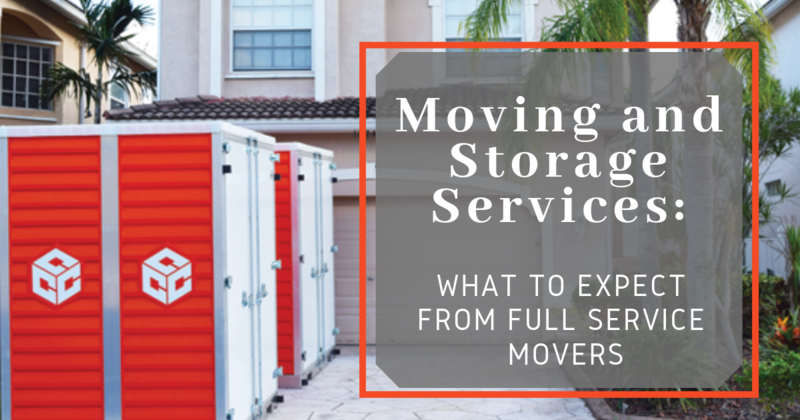 Above are some of the things to expect from full-service movers. A full service moving company will handle every aspect of your moving and packing. The company will be responsible for providing packing supplies, packing, boxing, loading, transporting, unloading, arranging, and many more. Thus, making moving and packing easier, faster, and more efficient. Contact us today at Move It Cube It to know more about our professional moving and storage services. Our services are affordable, detailed, and prompt. Our modular cube systems and shipping containers are certain to make transporting your items and valuables, easy and cost-efficient. We guarantee you excellent moving and packing services that give 100% customer satisfaction.